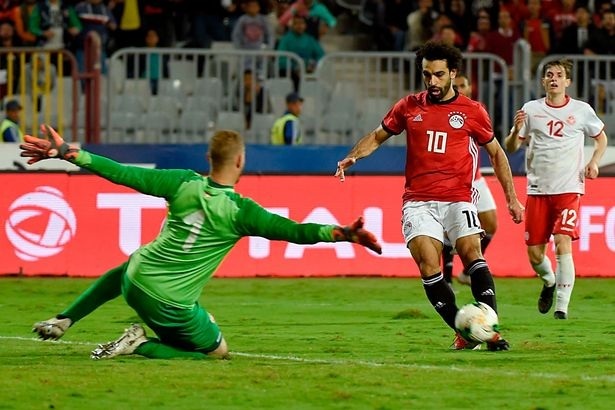 Mohamed Salah once again came up with the goods when it mattered for Egypt , as he bagged a last-minute winner against Tunisia. The Liverpool forward struck his tenth goal in his last eight games for his country, as they edged out their opponents in an African Cup of Nations qualifier. With the scores level at 2-2, Salah played a one-two with Salah Mohsen, before lifting the ball over keeper Farouk Ben Mustapha to score. 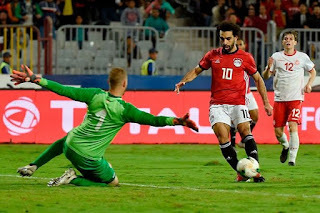 Egypt came from behind to lead, with goals from Trezeguet and Bahar El Mohamedy, but were pegged back by Naim Sliti's second of the match, before Salah's winner. The win moves Egypt now level on points with Tunisia at the top of Group J with one match remaining. Salah famously scored a last-minute penalty for Egypt to take them to their first World Cup finals in 18 years. His spot kick in injury time against Congo meant qualification for the 2018 World Cup in Russia this past summer. Last seasons Professional Footballers' Association (PFA) Player of the Year has just come back into form for his club side, after a slow start to this campaign. He got on the score sheet against Fulham on Sunday to take his tally to six league goals for the season and three in his last four games.